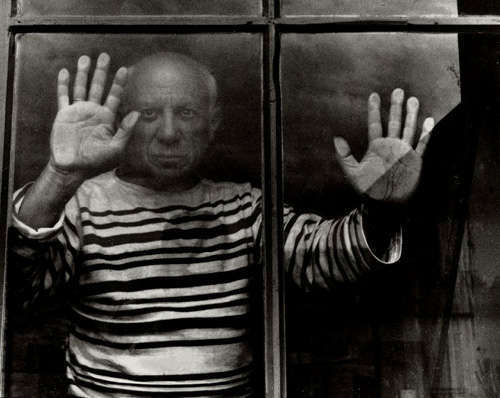 Tomorrow, October 25th, is Pablo Picasso‘s 130th birthday. As most of you surely know, Picasso was a Spanish painter who co-founded the Cubist movement in the early part of the 20th Century. His full name was Pablo Diego José Francisco de Paula Juan Nepomuceno María de los Remedios Cipriano de la Santísima Trinidad Ruiz y Picasso, a name that pays homage to various saints and relatives and is quite challenging to say in one breath. From an early age he had an interest in drawing. His father, Don José Ruiz y Blasco, was a painter who specialized in painting naturalistic portraits of birds and other game who felt that formal artistic training was important. So, from the age of seven, Pablo’s father trained him in figure drawing and oil painting. One popular story says that Picasso’s father discovered his son painting over his unfinished sketch of a pigeon at the age of thirteen and declared that his son had already surpassed him as an artist, whereupon he vowed to give up painting forever. When he was 16, his father enrolled him in the Royal Academy of San Fernando, Spain’s foremost art academy, but young Picasso disliked formal training and quit attending classes. Tags: cubism, Eugene Mirman, Flight of the Conchords, George Braque, Gertrude Stein, Kristen Schaal, News, Nick Turner, Pablo Picasso, People's Improv Theater.